To hear a current phone interview with Siddique Abdullah Hassan on DBA Press, by reporter Beau Hodai, go to https://dbapress.com/archives/448. Hodai also expects to publish an updated story on the Lucasville case by Jan. 17 at https://dbapress.com. SIGN THE ONLINE PETITION to the Obama Administration and the Ohio Department of Rehabilitation and Correction NOW! It will be delivered to OSP Warden David Bobby at 1 p.m. on Saturday, Jan. 15. A listing of all of the signers of this online petition will also be delivered. The Open Letter has been signed by famous persons like Noam Chomsky, by individuals in Ireland, Norway, Italy, Greece and Nicaragua, and by ordinary Ohioans. The letter will be delivered to OSP Warden David Bobby at 1 p.m. on Saturday, January 15, the anniversary of Dr. King’s birthday. If you live near enough, you are invited to join us at the church parking lot next to the OSP entrance driveway for this purpose. A small delegation will carry the letter into OSP to leave with the visitation officer. If different ones of us have been able to visit with the Three on Friday and Saturday morning, we will report on those conversations. On Saturday the Three will have been going without food for almost two weeks. On Jan. 3, four prisoners held in Ohio State Penitentiary, a supermax prison started a hunger strike to protest the highly restrictive conditions they have been subjected to since they were moved to the prison in 1998. These prisoners are Bomani Shakur aka Keith LaMar, Siddique Abdullah Hasan, Jason Robb and Namir Abdul Mateen aka James Were, all received death sentences as the result of wrongful convictions on charges related to the 1993 prison uprising in Lucasville, Ohio. Hasan and Robb helped negotiate the settlement of the Lucasville uprising, preventing a massacre such as the one in Attica in 1971 which resulted in more than forty deaths. In his statement of his reasons for the hunger strike Bomani states, “..we have undergone penalty on top of penalty, kept from fully participating in our appeals, from touching our friends and families, denied adequate medical treatment.we who have been sentenced to death must be granted the exact same privileges as other death-sentenced prisoners.” ..To see Bomani’s complete statement, go to http://iacenter.org. The four prisoners have been kept on the highest security designation, “Level 5” throughout their time at OSP. Their solitary confinement is conducted in such a way as to ensure no contact with other prisoners even during showering and “recreation”. The doors to their cells are sealed to prevent sound transmission. During visits, they are shackled even while confined within a booth, separated from their visitor by bullet-proof glass, while other death-row prisoners can have contact with their visitors through an opening in the glass. While the appeals of the prisoners are at different stages, the results have not been encouraging. 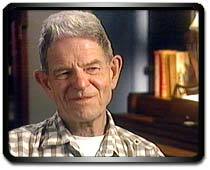 Attorney Staughton Lynd, who has done exhaustive investigation of their cases, has documented a clear pattern of deliberate use of perjury by prisoners who were rewarded for their false testimony. Key witnesses have recanted their testimony in recent years. The prisoners have maintained their innocence on all rebellion-related charges. Please sign on to the online petition below to support the prisoners’ right to have their security levels fairly evaluated and reclassified so that they may participate in the small privileges afforded to other death row prisoners. The harsh treatment of these prisoners violates their constitutional rights and is widely recognized as not only inhumane but as a form of torture. The wrongful convictions which placed these men on death row must also be set aside. The charges must be dropped entirely or the men must receive new trials. Over 800 signers including 60 organizations have sent over 220,000 messages to officials. We the undersigned call for an end to isolated “supermax” imprisonment in Ohio State Penitentiary. 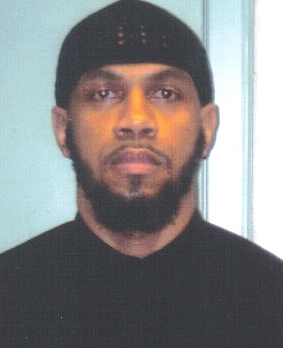 We are especially concerned about the cases of Siddique Abdullah Hasan (Carlos Sanders); Bomani Shakur (Keith LaMar); Jason Robb; and Namir Abdul Mateen (James Were), who are on hunger strike in protest against their conditions of confinement. We understand that they have taken this course of action out of total frustration with their hopeless situation at OSP. These men have been kept in isolation continuously since they were sentenced to death for their alleged roles in the 11-day rebellion at the Southern Ohio Correctional Facility (SOCF) in Lucasville, Ohio in April 1993. Hasan and Robb were two of the three men who negotiated a peaceful surrender in that rebellion and their actions undoubtedly saved lives. Throughout their more than seventeen years of solitary confinement, these four men have been subjected to harsher conditions than the more than 150 other men sentenced to death in Ohio. The conditions under which they are confined prevent them from ever being in the same space as another prisoner. Judge James Gwin of federal district court noted with amazement during the trial of the prisoners’ class action, Austin v. Wilkinson, that death- sentenced prisoners at the highest security level in the Ohio State Penitentiary wanted to be returned to Death Row! 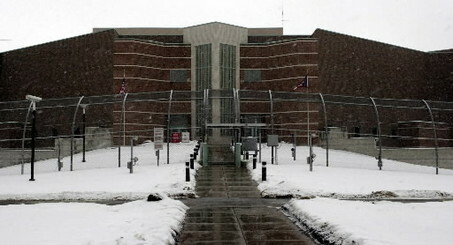 The four have suffered “Level 5” top security isolation since OSP was opened in 1998. This essentially means that they live in 23-hour lockup in a hermetically sealed environment where they have almost no contact with other living beings – human, animal, or plant. When released from their cells for short periods of “recreation” they continue to be isolated from others. During occasional visits, a wall of bullet-proof glass separates them from their visitors. They remain shackled, despite the fact that they could do no harm in these secure spaces. A few booths away, condemned men from death row sit in cubicles where a small hole is cut from the security glass between them and their visitors. They can hold their mother’s hand. With a little effort, they can kiss a niece or a grandchild. They do not have to shout to hold a conversation. Hasan, LaMar, Robb, and Were experience annual “security reviews” but their outcome is predetermined. The lack of a meaningful review violates the due process clause of the Fifth Amendment of the US Constitution. Keeping men in supermax isolation for long periods clearly violates the Eighth Amendment prohibition of cruel and unusual punishment. Moreover, the emphasized words above directly violate the explicit instruction of the Supreme Court of the United States in Wilkinson v. Austin. These men are being held in solitary confinement permanently, until they are put to death by Ohio or their convictions reversed. This not simply long-term solitary confinement, but in essence permanent solitary confinement. We demand that the Ohio prison authorities remove these four men from Level 5 “supermax” security and that they end the cruel practice of long-term isolated confinement. And more than 400 others. This is just the data I’m choosing almost everywhere. Thanks for ones blog site, I just subscribe your site. It is a awesome blog. I grew up in Dayton with Jason Robb, please allow Jason and the other’s the same way of life at least as other Ohio death row inmates have. Wrong is wrong. People are put on deathrow all for the same reasons basically. Why should those of the Lucasviile riot be isolated..This alone is cruel. I can appreciate what Voice of Detroit is doing for this community. I support the release of hunger striking prisoners at OSP from Level 5 isolation. The things I’m reading about this case move me to address the issue at least on the level of commentary. I do care about the forgotten and the lost. Yet when I read the list of defendants that the founder of IAC has as clients, I am repulsed by that too. I believe in the justice system that we have, in terms of everyone having access to a fair trail, but I have to wonder the motives and the heart of one who continually defends the most heinous criminals. Investigating crimes is not my forte, so I don’t know who is guilty and who is innocent. 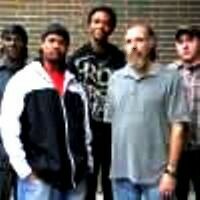 Praise my God, we are all guilty and none are innocent but the Lord Jesus Christ. That’s what I believe. I support the release of the hunger strikers from Level 5-isolation and pray that they will be treated with human dignity. However, I do not know their crime and I cannot sign a petition that their conviction be overturned, as is part of the petition language. I pray to God that justice will be served in the lives of these men and that they will not be pushed to the ends of self-destruction. My light shines on what’s positive, uplifting, glorious, loving, sane, advocating for youth and that’s where I have to share my energy, lest I fall prey to the temptation to depend on myself for the power that lives on the inside of me. I am not sure what clients you refer to. The founder of the IAC is Ramsey Clark, former U.S. Attorney General under Pres. Lyndon Johnson, but he has become a progressive activist since that time, no doubt influenced by the atrocity of the U.S. war against Vietnam. If you wish to find out more about the Lucasville case, order a copy of the book by Staughton Lynd that is pictured in the story. 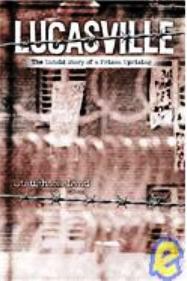 The Lucasville prisoners are only five of 2.5 million brothers and sisters in this prison nation; their story, while extreme because they are on death row, is not divorced from those being daily funneled into the concentration camps for the poor we call prisons, particularly the youth, particularly Blacks and others of color, and particularly here in the city of Detroit. Their stand, like that of the striking Georgia prisoners, is a stand for all of them as well as for all of us. Here in Detroit, in particular, we ought to take it as inspiration to fight situations like the police murder of 7-year-old Aiyana Jones during a military assault on her home in a poor Black neighborhood last May. If you haven’t noticed lately, we are living in a police state here in our city everyday. Ask the youth you work with.